Michelle's Book Blog: August Book Giveaway!! So my children went back to school today...and my oldest is a SENIOR!! WoW!! I thought to celebrate this monumental occasion (well, it's monumental to me and her anyway - LOL) I would have a book giveaway. What better way to celebrate any occasion than books? A ghostly hound stalks Noltland Castle. For years, such appearances have signaled doom for the clan Balfour, and there is little reason to believe this time will be any different. Wasn't their laird cut down while defending the Scottish king, leaving a boy to take a man's place? Frances Balfour has done all she can, using guts and guile to keep her cousin safe in his new lairdship, but enemies encroach from all sides, and now the secluded isle of Orkney is beset from within. A stranger has arrived, and his green gaze promises to strip every secret bare. The newcomer is a swordsman, a seducer and a sometimes spy for the English king, but for all that, he seems a friend. And Colin Mortlock can see into the Night Side, that spectral would between life and death. He shall be the destruction of all Frances loves - or her salvation. Graham Grant has had his share of lasses. But he has never met one as headstrong or as bonnie as Claire--or one with such desperate, dnagerous plans. Helping her could betray his honor, his country, and more. Graham can't claim her. Yet everything in him says: Take her, make her yours, teach her pleasure, and never let her go. I hope you like these books. :) This giveaway is open to all followers of this blog. Just leave a comment and your name is entered. This giveaway is open until August 14th and I will choose a winner on August 15th. Good luck and Happy Reading!! These books sound good. Thank you for the giveaway. Yes, please enter me, these books sound great. Mm yummy man in kilt, can it get any better. So if it means your worldwide followers then I am in. 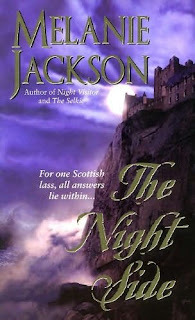 Oooo I love the cover for 'The Night Side'. Gorgeous! These sound great please enter me in your giveaway. 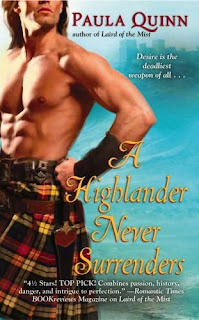 These books sound great, I <3 Highlanders!! The Night Side cover is beautiful, thanks for the contest. Congrats to B, I hope you has a fun Senior year!! The books sound great. I'd love a chance to win. Im a follower. Count me in please! I'm a new follower. Thank you for the giveaway!! New Follower ~ but now I am a follower. I am enjoying reading your book blog. Please enter me in the giveaway! Have a wonderful day! I've been a very bad blogger buddy, I forgot to stop by your contest. I love historicals paranormals, so entered me and you know I'm a follower. Great giveaway - would love to win. I am a new follower! OMG... Michelle, I am sorry I have never made it here!!! But I am here now!!! And I have pimped you out on my side bar!!! Hope you get some traffic from that!!! Oh... my daughter starts school tomorrow! She will be going into the tenth grade.... It seems like only yesterday I was bringing her to day care **sniff sniff** Where does time go!!! I love highlanders, count me in! Wow, Michelle, I love your blog and am a newly minted follower ;-). Ghosts and highlanders, sounds like a lot of fun to me. I'm following you girl! I am a follower of your blog and it is Beautiful!!! These sound great, I am a follower. Nifty books, sign me up!